Portronics Digital has launched the MUFFS G – Bluetooth 4.2 stereo headphones with an Aux-in option. It comes with soft cushioned ear-cups and headband. The Muffs G offers extra comfort and noise cancellation feature and the rugged foldable design ensures durability. 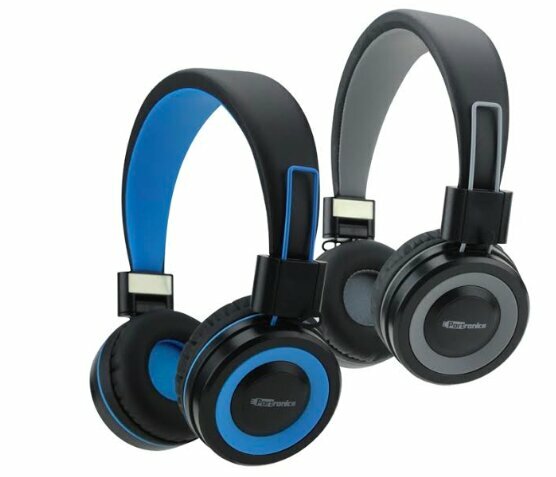 It comes with 40mm inbuilt drivers and offers solid bass effect and amazing treble with up to 10 meters of range. It has a frequency of 20 – 20,000Hz. The company claims it can offer 12 hours of music experience with just 2 hours of charge. The ultra-light ear cups fold inside, making it easy to carry the headphone without being concerned of any wear and tear in the bag. The Portronics Digital MUFFS G – Bluetooth 4.2 stereo headphones will be available in Grey color from Amazon.in, Flipkart and other online and offline stores priced at Rs. 1,999 (MRP), however you can get it for as low as Rs. 1,599.